We consider a point mass moving in a Schwarzschild-de Sitter spacetime, which is a model for a non-rotating black hole immersed in a universe with a positive cosmological constant. The perturbations induced by the orbiting spacetime give rise to an energy flux down the event horizon of the black hole, thereby changing its mass. We compute this mass absorption rate for the case of circular orbital motion of the particle, paying particular attention to its dependence on the orbital frequency of the particle and the cosmological constant. We find that that increasing the value of the cosmological constant as compared to a zero cosmological constant decreases the energy flux absorbed by the black hole but increases the energy flux that escapes to infinity. J. A. Villanueva and M. F. I. Vega. 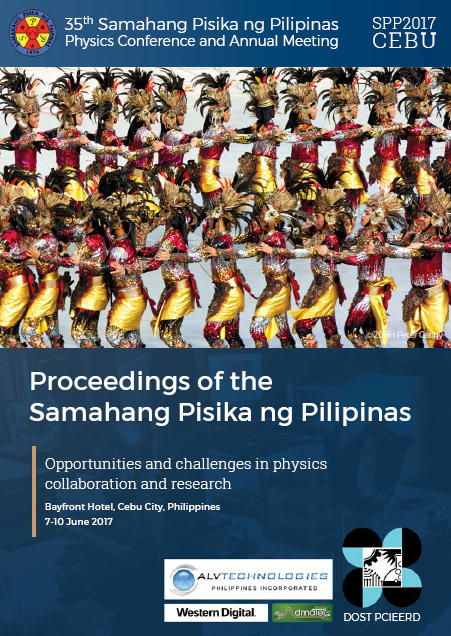 Mass absorption rate of a Schwarzschild-de Sitter black hole, Proceedings of the Samahang Pisika ng Pilipinas 35, SPP-2017-3C-03 (2017). URL: https://paperview.spp-online.org/proceedings/article/view/119.